Teslas stock is nearing a key price. Heres what the pros are saying. Tesla‘s first-quarter deliveries fell short of Wall Street estimates, sending shares down 8.8% on Thursday. The selling has the stock nearing key support in the $250 area. Two Wall Street pros have shared their thoughts on what the chart is saying. Tesla shares were nearing a test of key support Thursday after the company’s first-quarter deliveries fell short of Wall Street expectations. Shares were down about 8% to less than $269 a share and at their lowest level in more than a week. More important, Thursday’s sell-off has Wall Street strategists paying close attention to key support at $250. 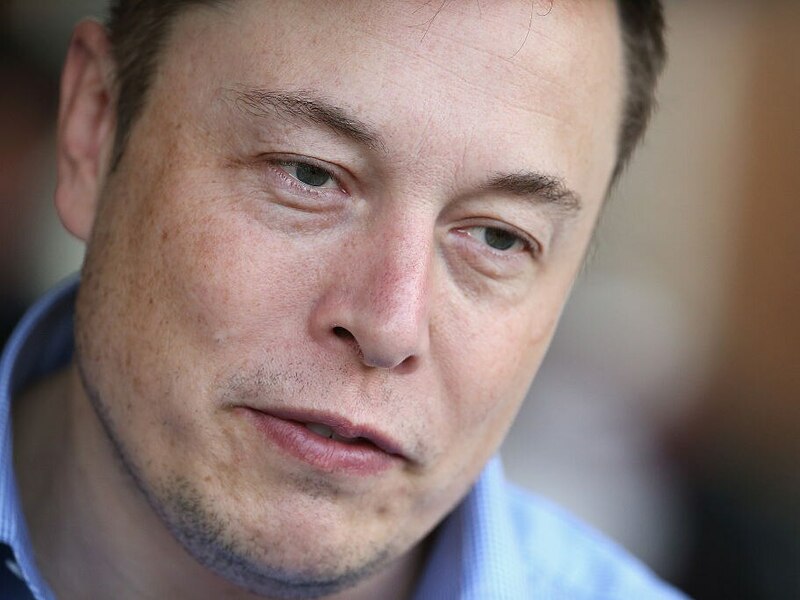 “The chart on Tesla (TSLA) tells us the stock is near a very important support level,” said Matt Maley, a managing director and equity strategist at Miller Tabak. “First of all, the $250 level is the one that it bounced strongly off of twice in 2018. 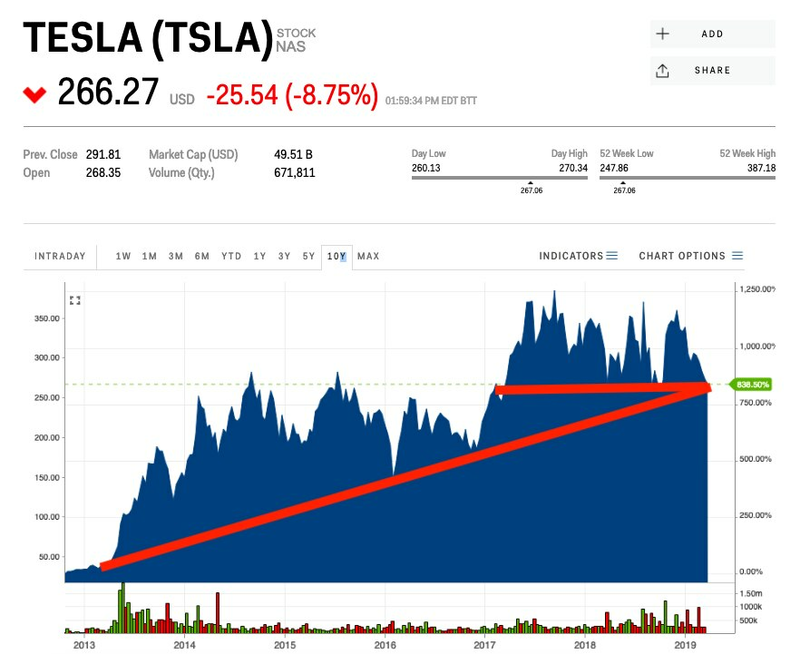 “Whenever a stock approaches a level that has bounced off of two other times, it becomes quite important…but when those bounces are as strong as they were for TSLA (almost 50% in both cases), it becomes particularly important,” he added, noting that the presence of the trendline off the 2013 lows made the level even more meaningful. Markets Insider Maley warned that any meaningful break (by 2% or so) below $250 would be “very negative” for the stock, as there is little support until the $200 level, which also represents 50% of the rally seen over the past four or five years. Katie Stockton, the founder and managing partner of Fairlead Strategies, also pointed to the $250 level as being critical for Tesla, adding that she was expecting the level to hold. “There is strong support on the chart in the $250 area based on previous low, and there is a good chance this levels holds with oversold conditions already in place,” she told Markets Insider, adding that a breakout above the 50-day moving average ($292.44) would signal the first step in a bullish reversal. For their part, Wall Street analysts have a mixed opinion on Tesla shares, with 13 saying “buy,” 14 recommending “sell,” and two suggesting “hold.” Their average price target was most recently at $315.65 a share. Tesla’s stock is down 20% this year, including Thursday’s drop.